Tyler, the Creator recently teased his take on classic holiday hater anthem "You're a Mean One, Mr. Grinch," but now you can hear the whole thing. The track was reimagined for the latest film adaptation of the Dr. Seuss's How the Grinch Stole Christmas, as part of a Danny Elfman-composed score. 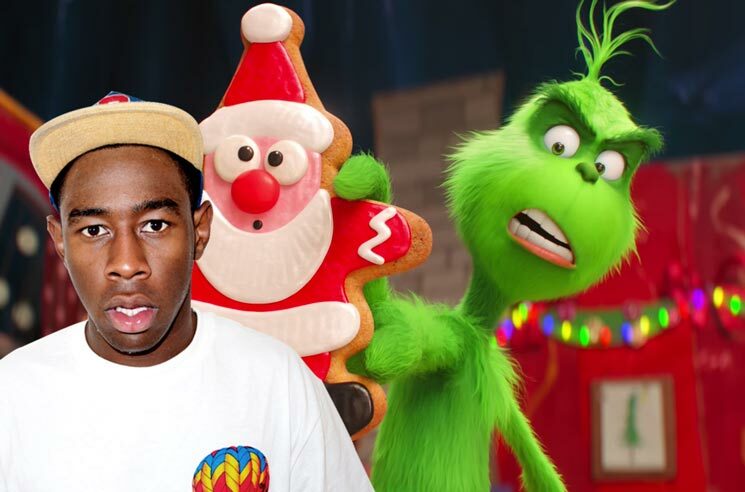 Tyler also contributed an original track called "I Am the Grinch." The film is narrated by Pharrell Williams, while Benedict Cumberbatch voices the title character. It also features additional voice performances by Rashida Jones, Keenan Thompson and Angela Lansbury. The Grinch hits theatres November 9. Listen to "You're a Mean One, Mr. Grinch" below.